pine wine rack704 viewsBuilt this with a friend out of pine I had sawn a few years ago. Took us about 8 hours over the course of a week. 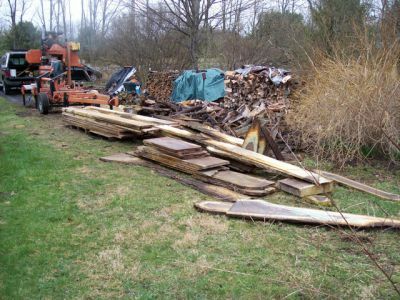 836 viewsHelped save this walnut tree from the woodstove! Genevieve and Hugh do not have a specific use in mind but they have some beautiful lumber to build something out of! !